It’s a BARN night for a PIPELINE fight! 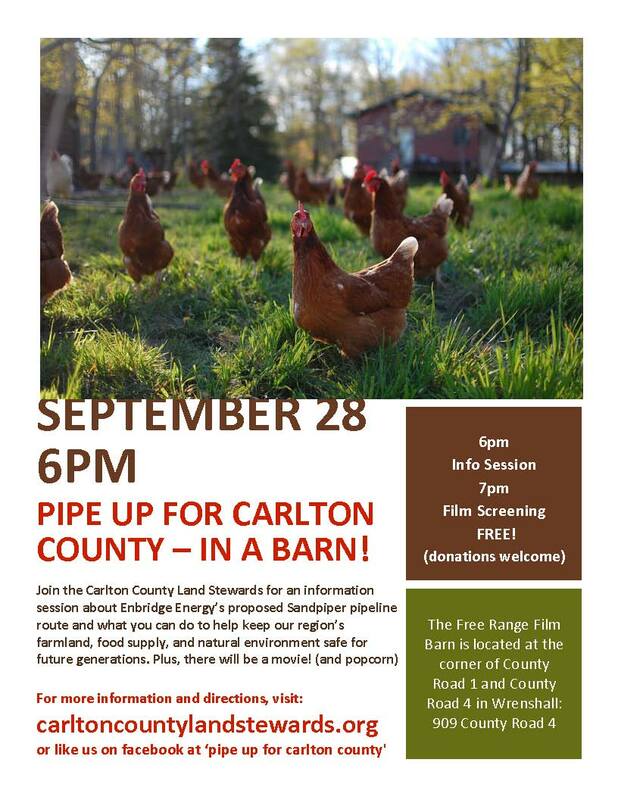 Saturday, September 28th at 6 p.m.
Join the Carlton County Land Stewards for an information session about Enbridge Energy’s proposed Sandpiper pipeline route and what you can do to keep our region’s farmland, food supply, and natural environment safe for future generations. Plus, there will be a movie (and popcorn!). So, come to the Free Range Film Barn, 909 County Road 4, in Wrenshall. For directions, click here. Free and open to the public. Free will donations welcome. ← Pine Journal supports our efforts!